I know your product was not originally intended for special needs kids, but I just want to say how much I love having it at my fingertips for use with children that are on the Autism spectrum. I've made many visual schedules/checklists by slightly modifying your product from its original intended use. 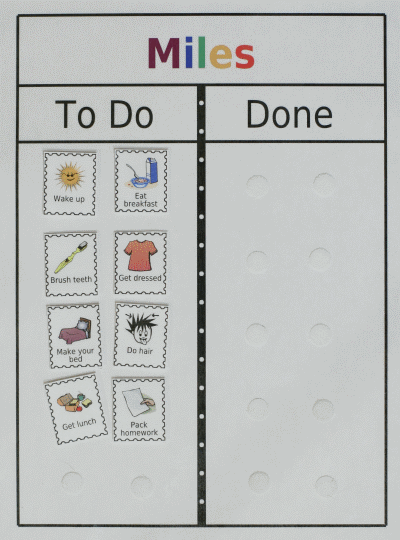 I used the weekly chore chart option to print all the pictures I needed for [my daughter's] daily schedule, but I wanted movable pieces. Once I printed, I cut the pictures apart to make individual pieces, laminated them, and attached them with velcro. Many of the pieces I used the custom feature to make them more specific. I have recently come across your site via Pinterest. I have been struggling with my 11 year son (who has autism and adhd) and finding a way to keep him focused and become more self-motivated. I purchased your chore chart, but the format doesn't work for our unique set-up. 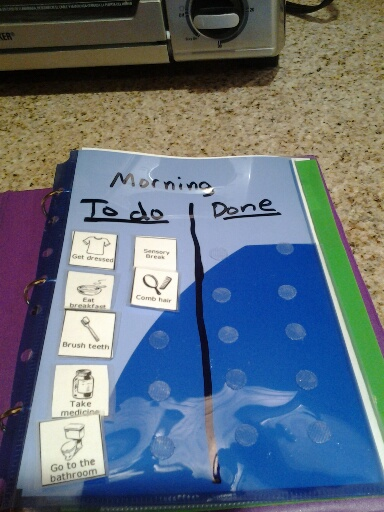 My son works best with a Velcro system that allows for the chores to be physically removed as they are done so that he can see the shrinking list of duties and feel a sense of time passing. I have printed the chores I need and cut them into squares, laminated them and use them on a changeable schedule that we find works for my son. 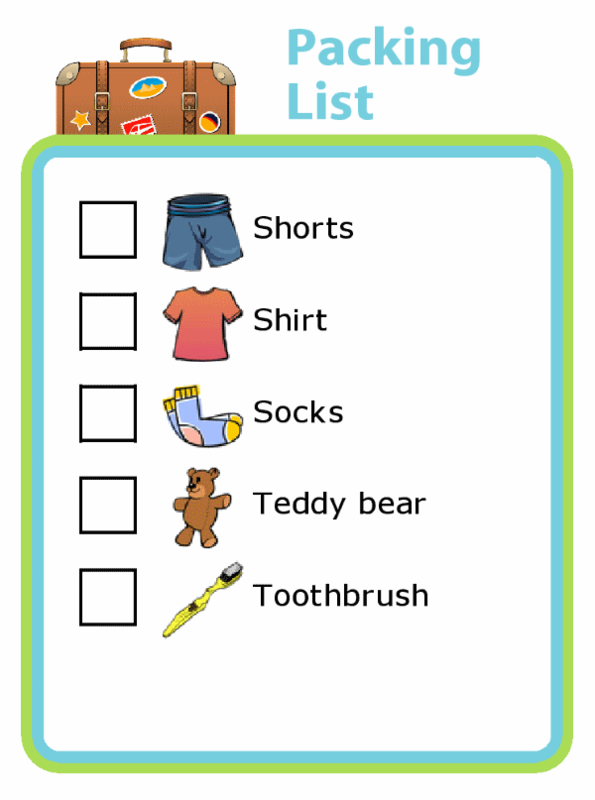 ...your site has made it so easy to make a chart for my son, which changes daily, without the visual overload of having an entire week on one form brings (not to mention the ink drain from constantly reprinting a one-day-at-a-time schedule.). 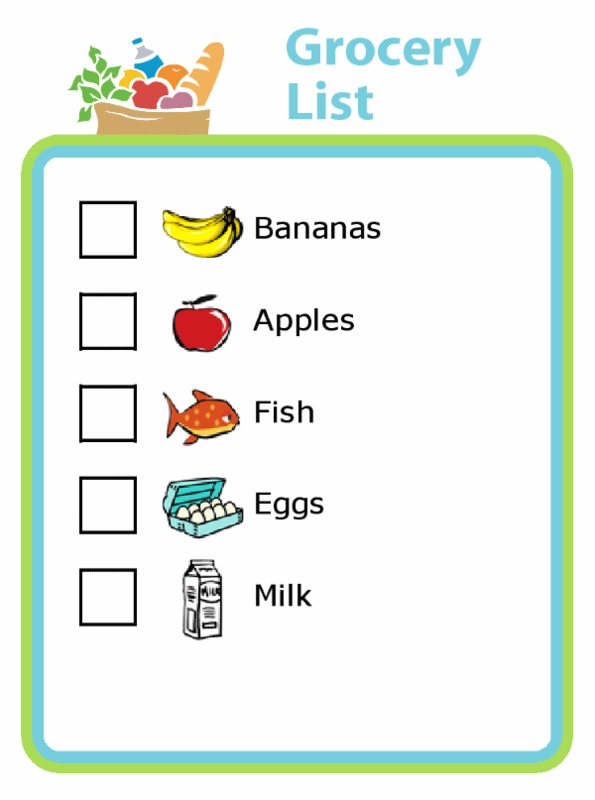 Thank you very much for all the work you have put into this site, it is a wonderful resource and I can't wait to use the grocery list as we continue to try and teach my son important life skills. I have been very happy to find that The Trip Clip has been helpful to special needs families. Here are just a few of the kind words they have sent me over the years! 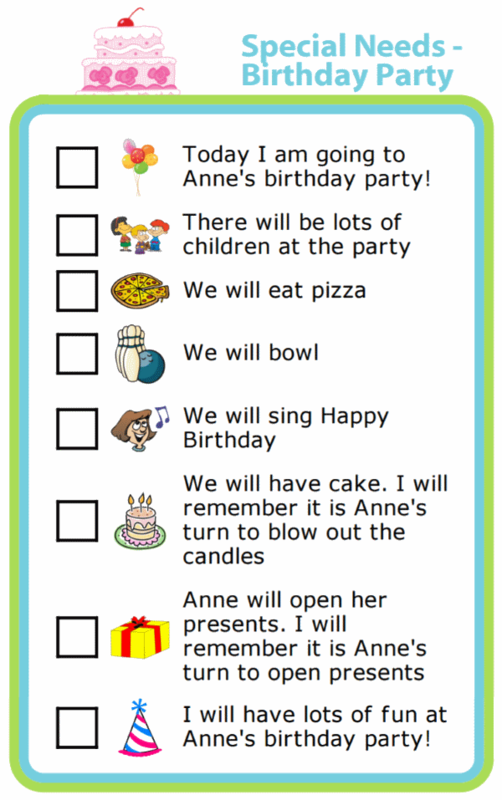 A picture checklist can work wonders for special needs kids. It helps them stay focused, visualize what they have to do, and not get overwhelmed. 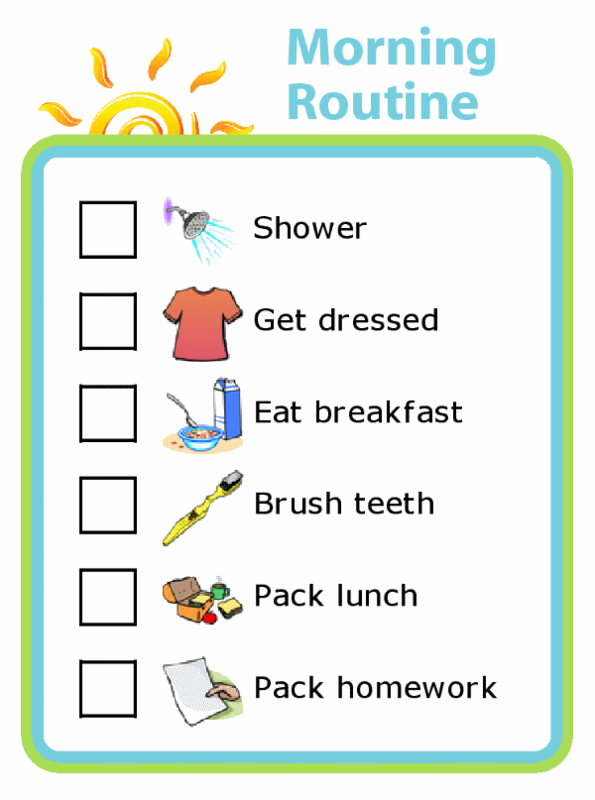 Try a Morning Routine, or an After School Checklist. A social story can really help a special needs child know what to expect and better handle the unexpected. With over 1000 images to choose from, the Custom List can help you create a social story for any occasion. Try it now! 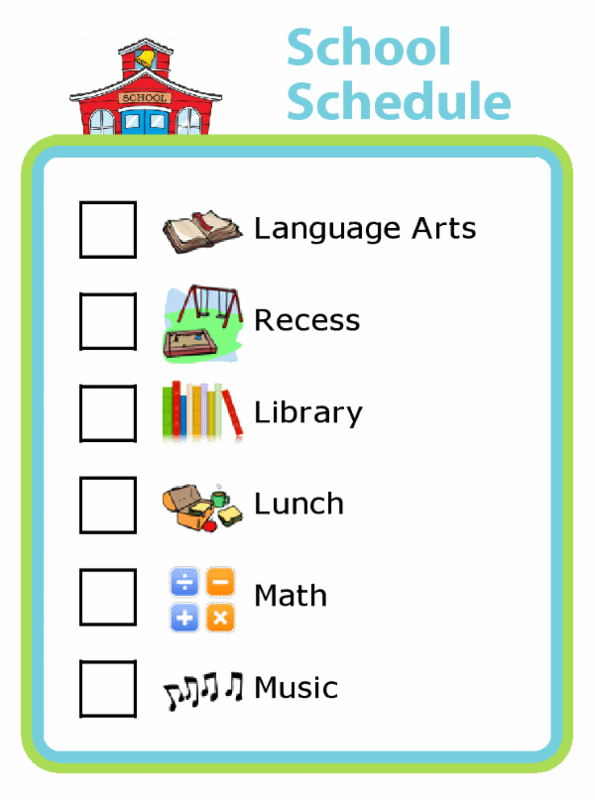 A visual school schedule can be an excellent support for kids with Autism, Asperger's, ADHD, and other special needs. You can make your own school schedule. 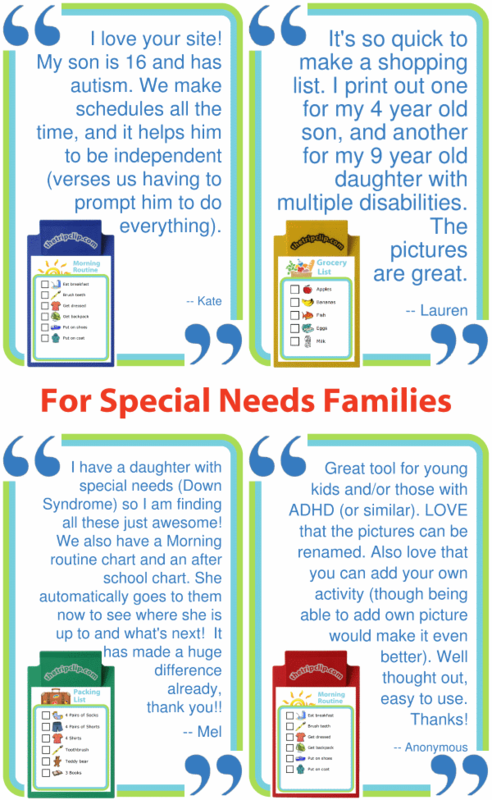 A picture grocery list can help a special needs child (or adult!) become more independent. Try it now!